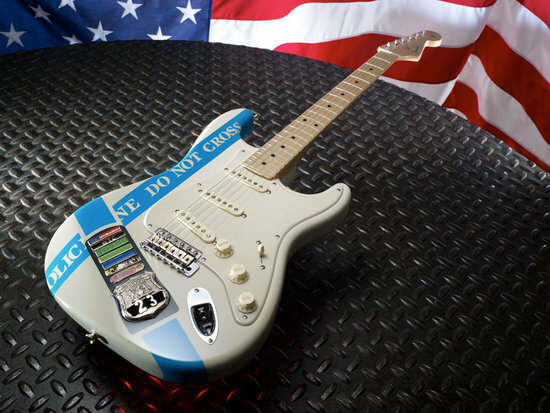 If you idolize Eric Clapton enough to spend a few thousand dollars on a guitar played by him, here’s a great way to do so, with a good cause attached. 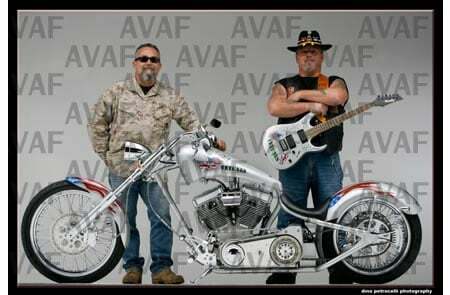 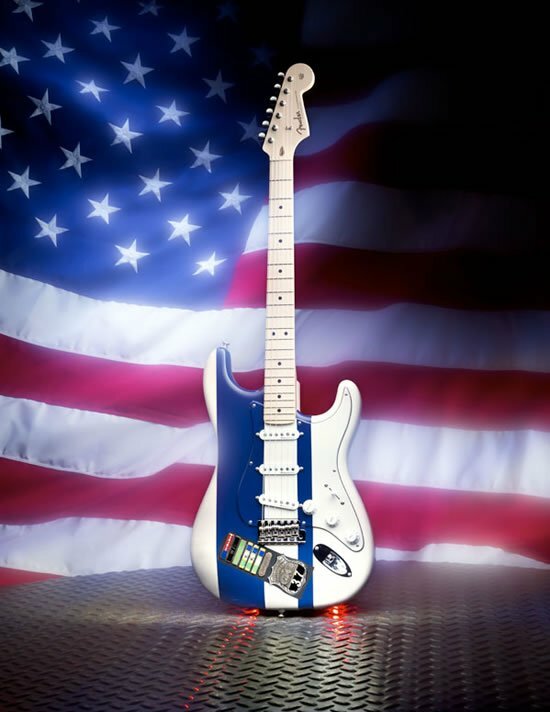 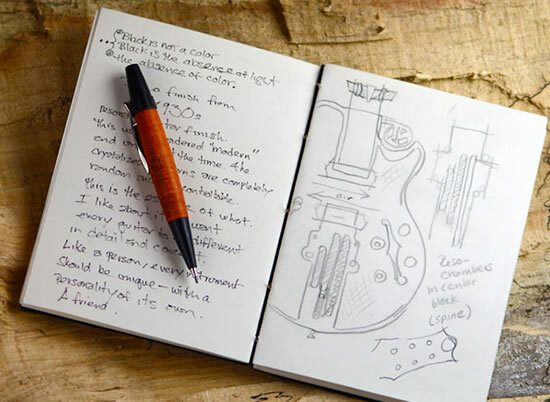 Fender Stratocaster Guitars recently unveiled a trio of custom-made guitars in commemoration of the heroes of 9/11. 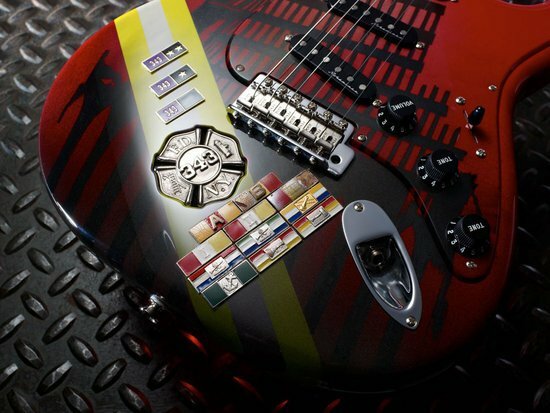 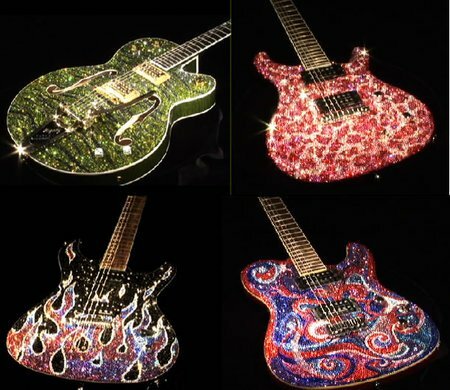 The guitars each honor the major organizations that rushed to the rescue of those trapped inside the World Trade Center buildings on that unforgettable day that still brings the chills to the most of us today. 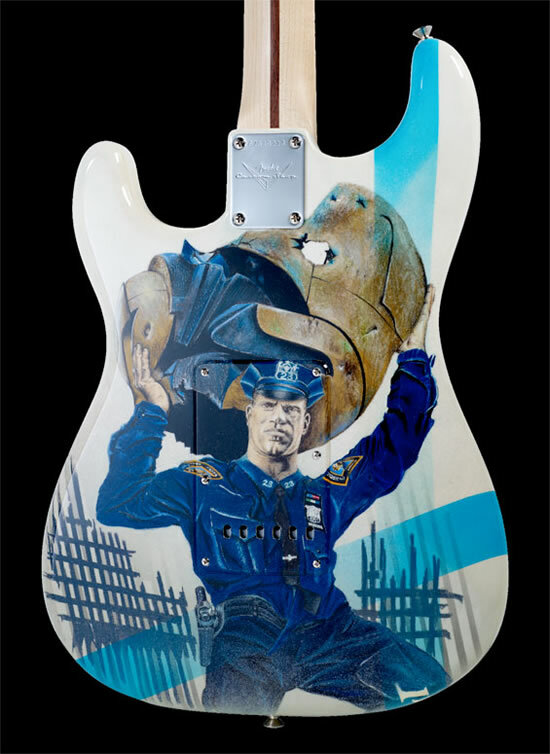 With each guitar sporting a custom graphic finish depicting imagery related to each agency, the New York City Police Department, New York City Fire Department and Port Authority of New York and New Jersey, these guitars will be played by Eric Clapton on his 2011 tour and will then be donated to the Sept 11, 2001, first-responder organizations. 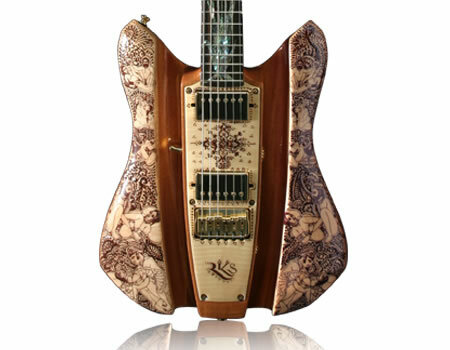 READ: Gibson unveils the $2,082 Limited Edition Zakk Wylde Moderne of Doom guitar!